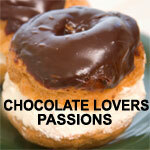 This site (Chocolate Lovers Passions) is part of Passions Network Inc., a network of over 240+ individually free online dating & social network dating sites. You can maintain a membership on this site (Chocolate Lovers Passions) alone, and enjoy 100% free access to any/all of the features within the site...or, if you are interested, you can upgrade to 'Network Wide Access', which will allow you to add additional sites into your account. All account information is maintained & updated in one area, so just follow the instructions below to add sites into your account, or to edit existing sites.